The “Letter to the Future” assignment from Mr. Todnem’s 8th Grade Health class allows students to write or type a letter to their future self. 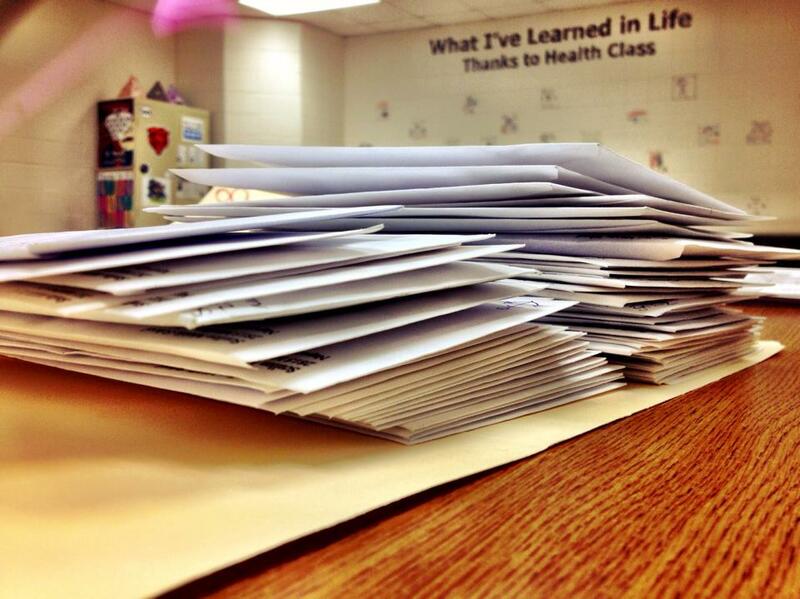 The letters and envelopes sit and wait for four years to pass– for the future to become the present. Upon high school graduation, in May of each year, Mr. Todnem heads to the post office with a shoebox full of letters to send off to the older, wiser versions of the 8th graders who wrote to their future selves. After receiving their own personal time capsule (in written form), students recall friendships and acquaintances, think of memories both important and unimportant, and look at four short years in which a lot has happened in life. Both happy and sad, stories get shared from the past. Visits and email exchanges with Mr. Todnem have proven that the assignment has become broader in scope than ever imagined– that the experiences of life are worthy to share with anyone interested, and anyone who would like to join in. Are you one of these future graduates? Already receive your letter? Join the conversation about your life, and share your own stories regarding the “Letter to the Future” assignment and your actual life & future after Health class. Follow Mr. Todnem on Facebook, Twitter, Instagram, & Snapchat.